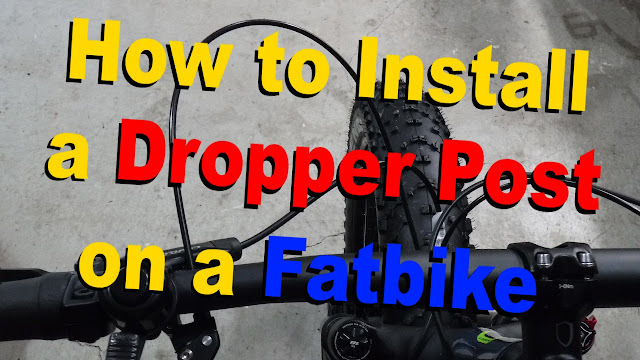 What is the cheapest and easiest part to replace on your fatbike that will have the most impact on its handling, performance and comfort? Well if you read the title of this post you know the answer . . . the stem. These days stems are available in a variety of material, lengths and angles that allow riders huge amounts of flexibility for fine tuning their reach to the bars. 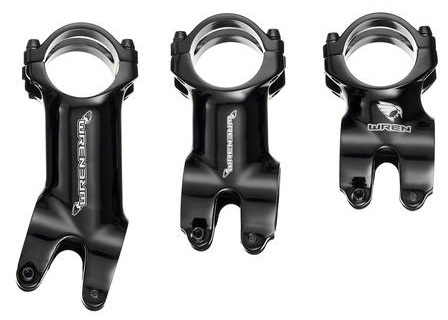 Wren Sports (known for their super slick inverted fatbike fork) have designed a line of superlight alloy stems to compliment a selection of carbon goodies and other bike related accessories. 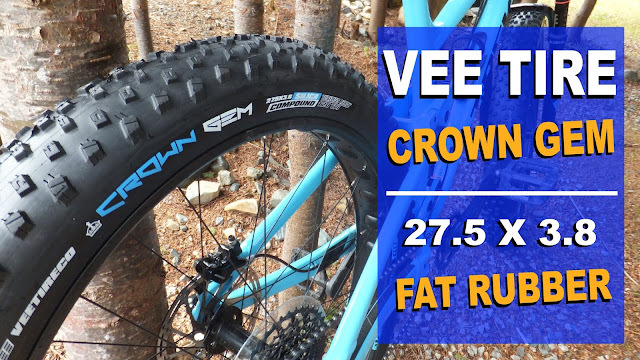 Fatbike Republic has collaborated with Wren Sports to review one of their crazy light stems as part of a fatbike cockpit refresh. The folks at Wren have chosen to create their super-light stems from AL7050 aluminum alloy which is stronger and lighter than AL6061 - which is primarily used in most stem manufacturing. Instead of using CNC machining, Wren uses 3D forging that compresses the material (making it stronger), allowing slightly less material to be used (making it lighter) and ensuring the correct grain structure (making it tougher). 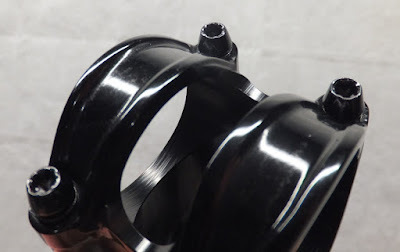 3D forging is also superior to CNC because it does not create any edges that can concentrate forces. Plus it give a more molded look. 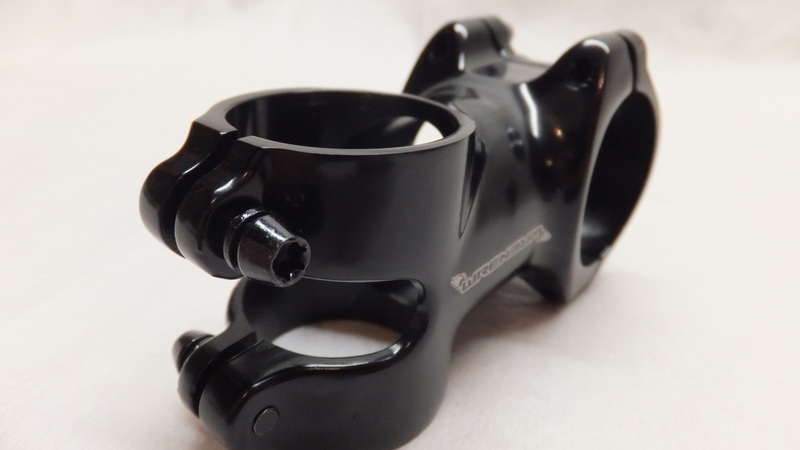 A four-bolt clamp further distributes the clamping force across a wide area, which is especially beneficial when paired up with a set of their carbon bars. The bolts are Torx T25 chosen for strength, lightweight and convenience. 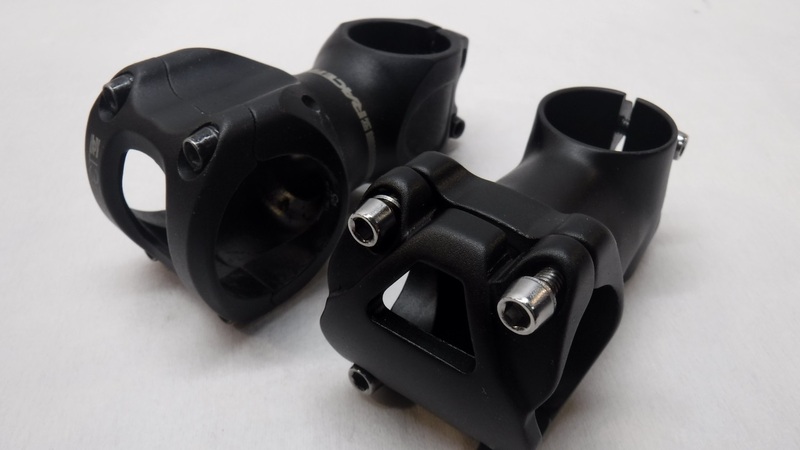 Wren had initially went with T20 bolts for increased weight savings, but realized that is not a size found on most tools riders already own. These stems are available in lengths 40 – 130mm with a +/- 6 degree angle and the 80 - 100mm with a +/- 17 degree angle. 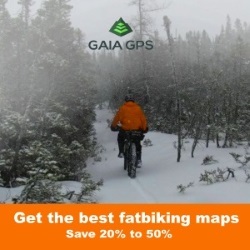 All sorts of options for the discerning fatbiker. 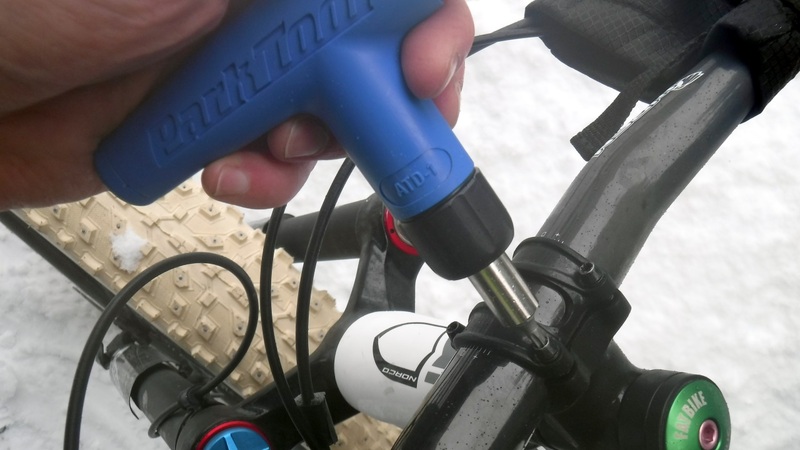 They fit standard 28.6 steerer tube and bars with a 31.8mm diameter. At this point in they will not fit the oversized 35 mm bars such as the Race Face Aeffect. And they weigh between 71g – 92g depending on length and rise. 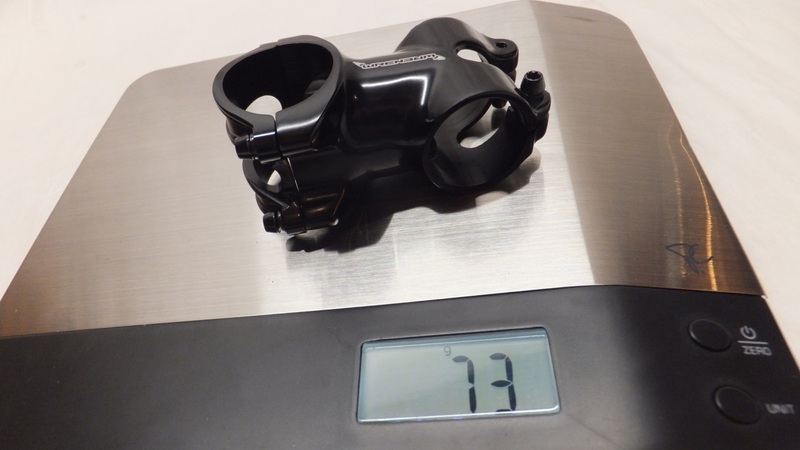 Fatbike Republic was sent a WST 106-50 (50mm with 6 degree rise) with a claimed weight of 74g. Dropping the stem on the scales it actually came in underweight at 73g. This stem is light. How light it is compared to other stems? A generic 50mm weighs in at a portly 125g and while not completely comparing apples to apples the 60mm Race Face Aeffect (that was being swapped) weighed a whopping 155g. Just for fun . 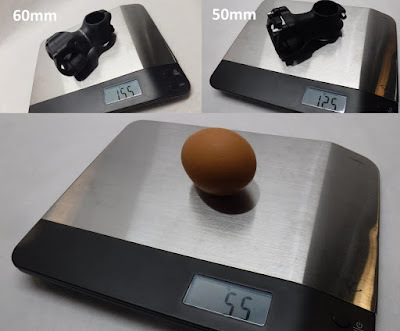 . . a large organic free range egg weighs in at 55g. Taking a very close look at the stem you can see very clean lines and no excess material to be found anywhere. Its nowhere as bulky and burly as other stems and almost looks delicate in comparison. 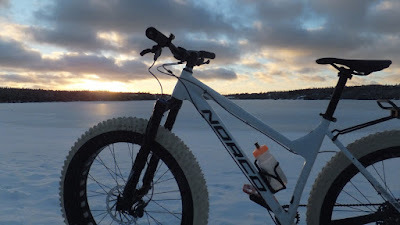 I was really curious on how it would hold up up to the rigors of fatbiking. The stem mounts up just like any other stem and has a recommended torquing of 6 Nm. As the stem was being installed on a set of carbon bars I wanted to ensure the torque was on spec. 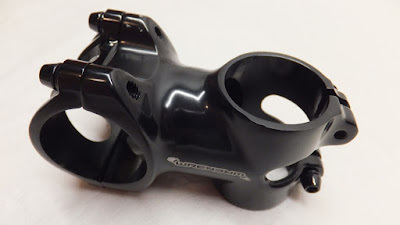 As with mounting any shorter stem, mounting up the 50mm Wren stem made the front end a little easier to lift, steering became a little quicker and the front end felt a little lighter when climbing. Sitting a little more upright also gives a little more comfortable riding position. So how does the Wren ultra light stem compare to other stems in performance? Honestly . . . its a stem . 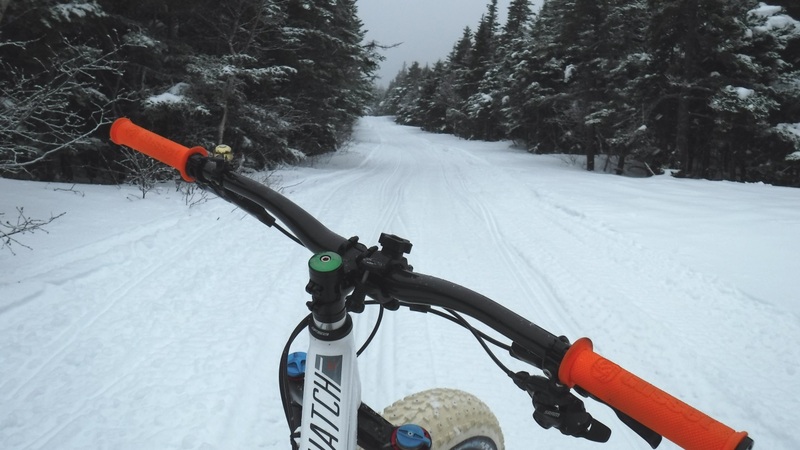 . . it mounts the bar to your bike and allows you to turn. Maybe the question should be "does the Wren super lightweight stem hold up as well or better than heavier and bulkier stems?" After several months of riding (late fall into the heart of winter) I have not noticed any issues with this stem. 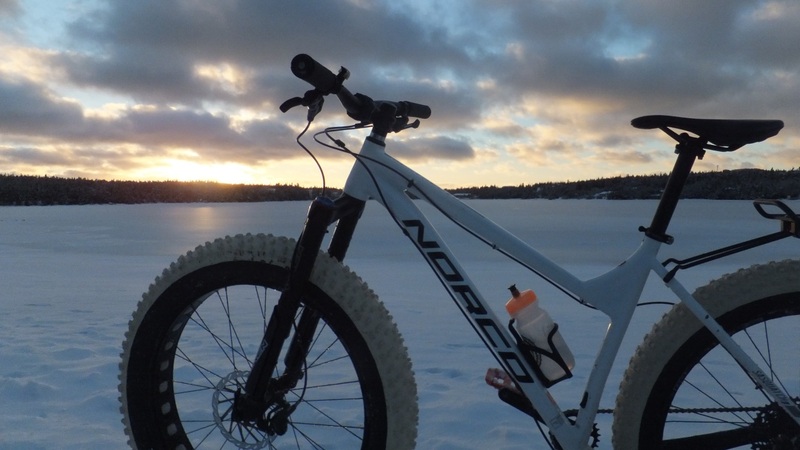 Riding dirt, snow and ice . . . the stem performed. I took one nasty OTB tumble that ended with the bars being knocked out of alignment as well as giving me some bruising. Locking the wheel between my knees the stem was levered back into position and back on the trail. Another time, when doing a lake ice grind, I laid my Sasquatch down on the ice pretty hard whacking the bar end off the ice. After my knee stopped complaining, I surveyed the stem/tire alignment and all was well. 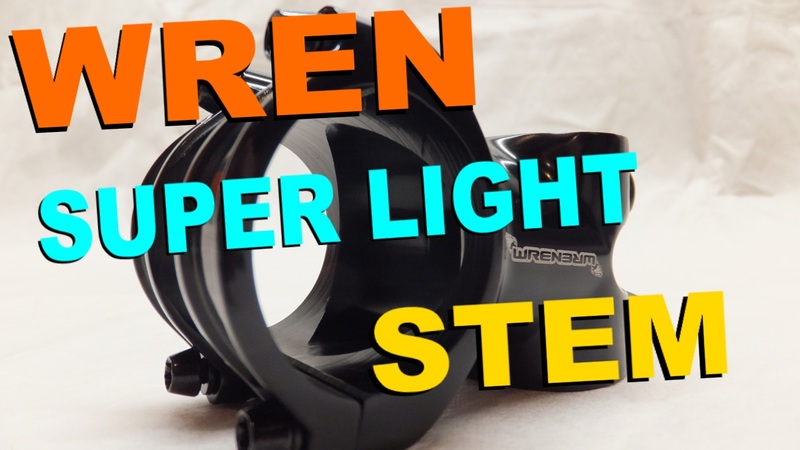 So after giving the Wren super lightweight stem some "tough love" on the trails . . . I have no worries about its performance. 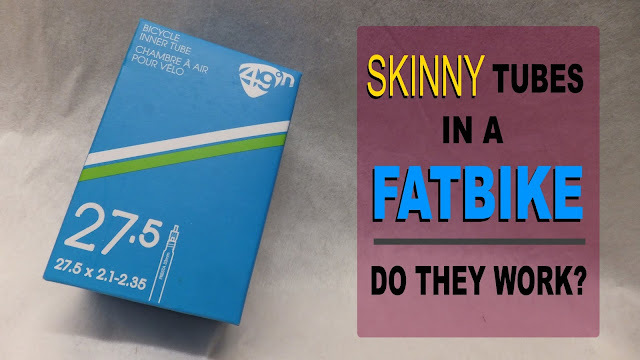 Buying a stem is probably not the most sexiest purchase you can make for your fatbike. 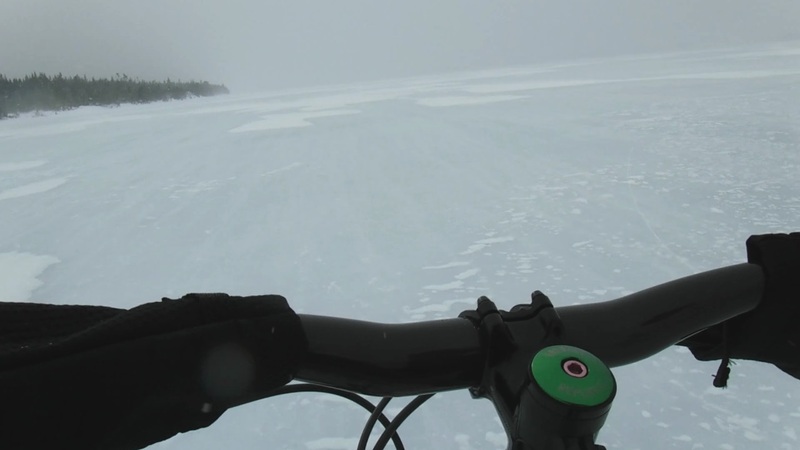 However, it can have an impact on the bike's handling and your overall comfort. 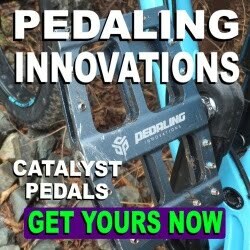 If you are in the market for a new stem and the traditional chunky stems are not turning your gears . 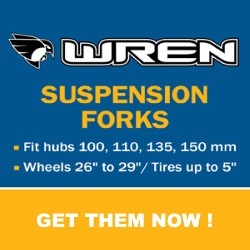 . . then go visit the folks over at Wren Sports and take a closer look at their line of sleek, lightweight and affordable stems. I have a wren 6 degree 60mm stem on my size small ithaqua 2s, slammed. I paired it with carbon bars (710mm as i ride some tight trails). So far no drama. But i am a 135lb guy so i am not stressing things to the max. 211g saved. For whatever reason, the 60mm wren stems are heavier... even the 70mm is lighter. Heavier original design? But at 81g, it was still light.